If terra cotta is not available, designer will substitute. Orange spray or orange roses and miniature gerberas, dark orange alstroemeria, gold cushion spray chrysanthemums, solidago, salal and oak leaves are beautifully arranged in a terra-cotta pot. It's a natural way to glow!. Flowers may vary due to availability. 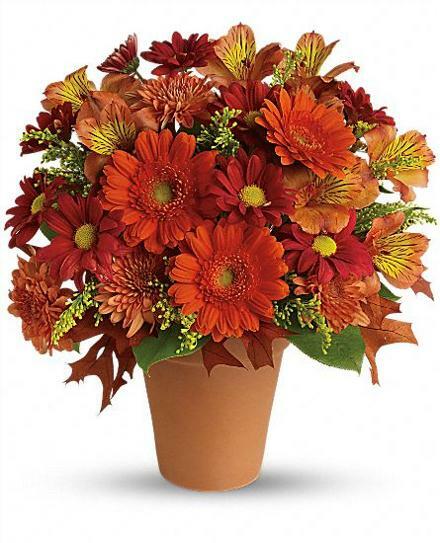 Value priced flower arrangement below $60.00 - Golden Glow in Available Container.